Every year, many people are experiencing the hassle of trying to keep track of various medical bills. Medical expenses are something that cannot be avoided in today’s modern world and can become quite cumbersome. Take some of the stress out of keeping up with your medical bills with the easy-to-use Medical Bill Tracker. You can download this completely customizable form right from this page. Simply download the form, fill in your information, and you are on your way to keeping track of any medical expenses that come your way. 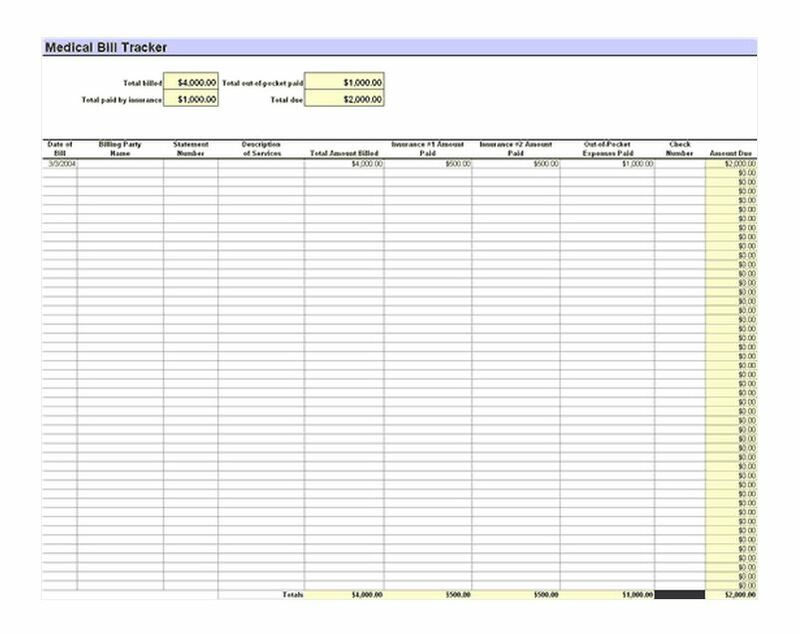 First, compile a list of all of your current medical bills and expenses and download the tracker template to your computer. Second, customize the Medical Bill Tracker with your specific bills, expenses and when they are due. Try to include things like all medical bills, insurance payments, and any out-of-pocket payments that you have for the month. Third, save the medical bill tracker to your computer for tax purposes and any end of the year deductions. You can also print out the tracker and keep a hard copy on file in case you experience computer problems. Try to keep the hard copy in a safe place that can be easily accessed. First, it may be wise to print off a blank medical bill tracker in case you are in a hurry on a certain month. You will be able to go back and enter your information for that month later because you filled out the blank form by hand. Second, fill out a tracker form for every month so you can keep track of all your medical expenses for tax purposes. Third, keeping track of your medical bills ensures that you are not over paying for medical expenses. You will be able to catch glitches in your physician’s payment system that would otherwise go unnoticed. Keeping track of your medical bills and expenses can be a difficult task if you do not have the proper organization system setup. With the bill tracker you will not have to go through the hassle of rummaging through old bills and files at the end of the year. Setting up an organization system will enable to you have more time to do more important things, and having the right organization system will take the stress out of managing your bills.